So worth it. The price is nothing compared to the fact that I can say I got to surf in the famous Bondi beach. It was my first time surfing and the instructors were really helpful and supportive. I got to stand on my board a couple times. They provided everything you needed and even had someone on standby to take your pictures while you surf. 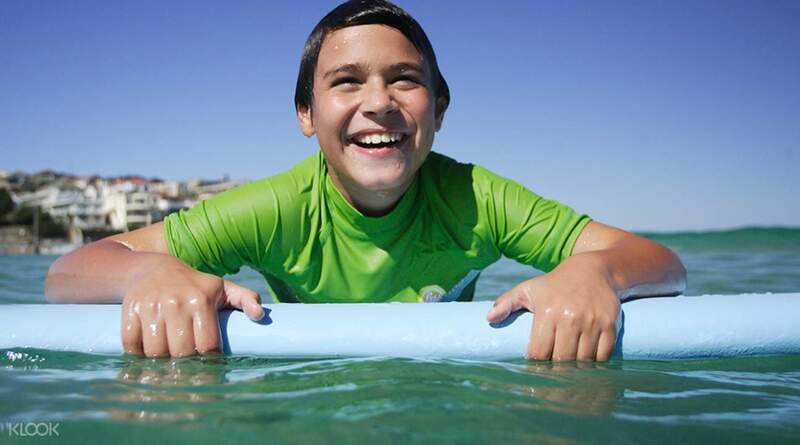 Catch your very first wave under professional guidance of an experienced instructor on one of Australia’s most beautiful beaches. This two hour lesson is meant for beginners and you will cover all the necessary techniques for proper warm up and paddling. They say that once you’ve felt the rush of the wave, there is no going back. You don’t have to hop off — extend the experience with a three of five class pass. The multi class packages are a great way to not only get up on your first wave but also strengthen the results and better your newly-acquired skills. During these several lessons, you will get to change settings, surf on different beaches and experience various wave conditions. By the end of this mini-course, you will feel confident and secure with your new set of skills. So worth it. The price is nothing compared to the fact that I can say I got to surf in the famous Bondi beach. 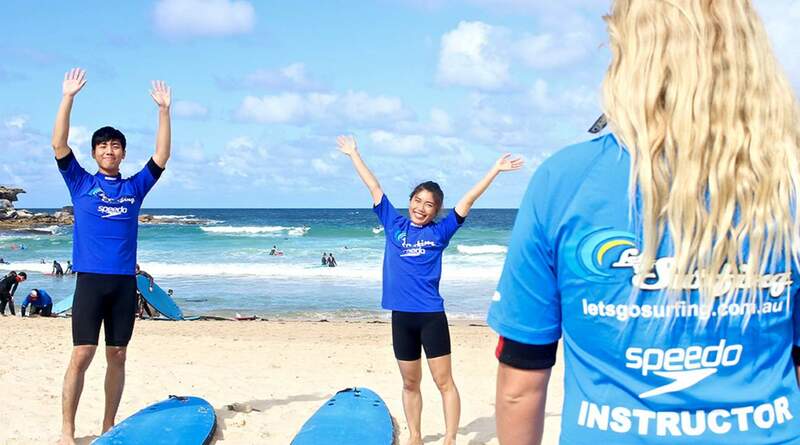 It was my first time surfing and the instructors were really helpful and supportive. I got to stand on my board a couple times. They provided everything you needed and even had someone on standby to take your pictures while you surf. So worth it. The price is nothing compared to the fact that I can say I got to surf in the famous Bondi beach. 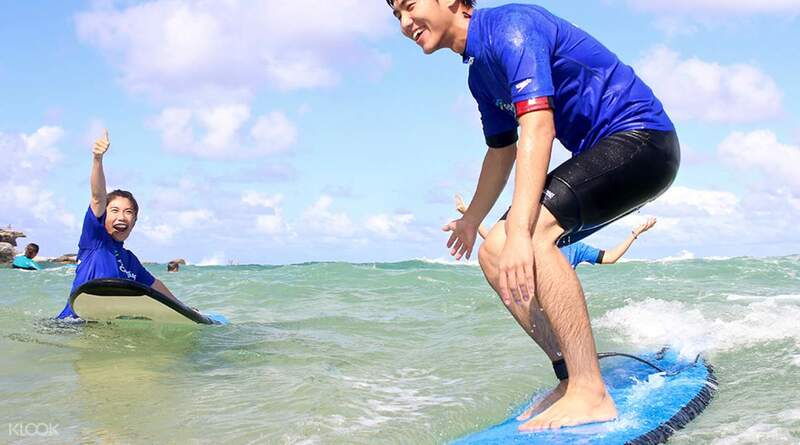 It was my first time surfing and the instructors were really helpful and supportive. I got to stand on my board a couple times. They provided everything you needed and even had someone on standby to take your pictures while you surf. Shop is just minutes near Bondi Beach. Winter surfing gowns are provided which is good enough for the cool weather. Instructors are nice and helpful. 5 candidates in a group. There are changing rooms in the shop with light showers in open area besides the beach. Parkings is bit difficult or quite expensive with AUD 7.9 per hour at road side. Shop is just minutes near Bondi Beach. Winter surfing gowns are provided which is good enough for the cool weather. Instructors are nice and helpful. 5 candidates in a group. There are changing rooms in the shop with light showers in open area besides the beach. Parkings is bit difficult or quite expensive with AUD 7.9 per hour at road side. It was tiring but really fun. A new experience for us. I appreciate that we were provided wetsuit. The shop a short walk from the bus stop. Just be there 15 mins before the schedule to register and put on the wetsuit. It was tiring but really fun. A new experience for us. I appreciate that we were provided wetsuit. The shop a short walk from the bus stop. Just be there 15 mins before the schedule to register and put on the wetsuit. Coaches were really nice and it was perfect lesson for beginners. I would love to take another lesson from here. Coaches were really nice and it was perfect lesson for beginners. I would love to take another lesson from here. Best activity of our trip, had a lot of fun and the snorkeling was the best! Best activity of our trip, had a lot of fun and the snorkeling was the best! I was so embarrassed for the first time to teach me so kindly, and I was so kind to keep it! 너무 친절하게 가르쳐주시고 처음이라 당황했는데 계속 잡아주시고 너무 친절했습니다!